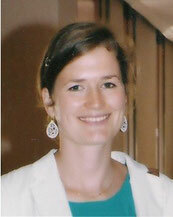 Ingrid Heidlmayr studied International Development at the University of Vienna and the University of Cantabria/Spain. In 2012 she graduated with a diploma thesis on cultural identity in the Maghreb as a factor for development. She previous worked for a German Political Foundation in Rabat/Morocco as a scientific coordinator. Currently she is writing her PhD thesis on the impact of democracy and governance assistance of the European Union and the African Development Bank on the Moroccan domestic reform agenda. Her research interests focus on Euro-Mediterranean relations, European Neighbourhood Policy, international democracy promotion, regional cooperation and democratic transition in North Africa.